Sugar substitutes are compounds that provide sweetness like sugar but lesser calories than sugar. Sugar substitutes are either natural in origin or synthetically derived. The idea of using sugar substitutes originates from the concept that sugar provides us with unwanted calories. Carbohydrates and sugars are broken down into simple compounds like glucose and fructose. Glucose is either used immediately or stored as glycogen. Fructose, on the other hand, is metabolized in the way such that most of it stored as fat. Also, too much of sugars activate certain regions of your brain which further leads to addiction and never-ending cycle of eating excess sugar. Consumption of sugar-sweetened beverages has been associated with increased risk of obesity, diabetes, and other metabolic disorders. Artificial sweeteners: These are synthetically derived compared whose sweetness intensity is many times that of table sugar. Sugar alcohols: They are naturally occurring plant-based compounds that are modified and have sweetness same as that of sugar. Purified natural sugar substitutes: They come from plant or other food compounds and are purified via industrial process. Natural sweeteners: These are sweet substances naturally occurring in nature and can be used raw. Artificial sweeteners are also called intense sweeteners because their sweet taste is multiple the times that of sugar. For example, aspartame is 180 times sweeter than sugar while saccharin is 300 times sweeter than sugar. Artificial Sweeteners & Weight Loss? Artificial sweeteners provide little or absolutely zero calories. Hence when using them instead of sugar, you already cut down on those calories. But their effect on weight loss is mixed. We will now go through what science has to say about role of artificial sweeteners on body weight. This section deals with only artificial sweeteners and their effect on body weight and metabolic health. Food reward activates the same brain circuitry that would be excited upon doing pleasurable activities. Sugar can hijack your brain’s reward center. It leads to the release of happy brain chemical like dopamine. 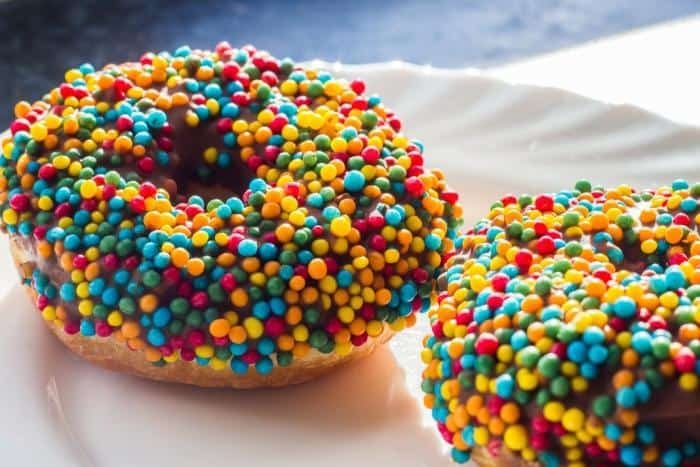 The pleasurable feeling you get upon eating sweet sugar-laden items can get addictive and this can impose other health problems like weight gain, insulin resistance. Withdrawal of sugar can cause symptoms similar to that of drug withdrawal. Quite some scientific evidence points to the fact that artificial sweeteners do not activate the brain in the same fashion as natural sweeteners. Frank et al have demonstrated that sucrose or table sugar strongly stimulates the brain in comparison to artificial sweetener. Both of them activate primary taste pathways but elicit different brain responses. But our conscious mind does not distinguish between sucrose and artificial sweeteners. Brain activation pattern is the same for saccharin and sugar in those who consume artificial sweeteners. In other words, our taste preferences to sweet foods can still get you addicted to even artificially sweetened food items. Food reward consists of two components: sensory and post-ingestive. The sensory pathway is activated similarly by artificial sweeteners and sugar. However, the lack of calories impairs postingestive response. Artificial sweeteners lead to incomplete activation of the brain’s food reward pathway. This incomplete activation of the pleasure center leads to increased appetite. Even in the absence of calorie requirements, one continues to eat the particular food in order to satisfy the craving. The absence of calories fails to stimulate satiety signals and this lack of satisfaction refuels food-seeking behavior. Artificial sweeteners trick the brain into thinking that the body is going to receive high-calorie sweet substances which will promote satiety. But since the calories are missing, the brain signals lack satisfaction and increases cravings. Eventually, artificial sweeteners can cause sugar dependence. In fact, since they are sweeter than sugar they can even blunt your taste towards sugar. Sugar doesn’t seem that sweet anymore and you have to consume larger amounts to evoke a pleasurable feeling. What does this mean? Artificial sweeteners lead to incomplete activation of the brain’s food reward pathway which leaves you hungry and urges you to eat more. This confuses your metabolism.Artificial sweeteners are far sweeter than sugar and hence cause sugar dependence and craving. Animal studies demonstrated that consumption of artificial sweeteners leads to weight gain and may promote excessive food intake in comparison to sucrose. One of the reasons behind this is that the lack of calories in these sweeteners leads to compensation in subsequent meals. Sweet taste is known to aid in energy balance by predicting the amount of energy that would arrive in the gut and facilitating absorption of nutrients. Additionally, this sweet taste impairs the ability of the gut to predict the arrival of nutrients and promote satiety. Unlike sugar, which provides calories and does eventually curb your appetite, oral consumption of artificial sweeteners does not stimulate the production of any appetite-related hormones. The sweet taste of artificial sweeteners in absence of calories reduces the ability to stimulate metabolism. Regular consumption of artificial sweeteners blunts your preference for real sugar. A clinical trial comparing the effect of stevia, aspartame and sucrose consumption on appetite was conducted. Preloads containing each of the sweeteners were provided prior to lunch and breakfast. 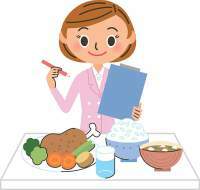 It was observed that energy intake at lunch and dinner was same in the sugar substitute group as in the sucrose group. Also, those who consumed sugar substitutes did not eat more calories in order to compensate for the low calories provided by sugar substitutes. Some studies even report that consumption of artificial sweeteners especially aspartame either has no effect on appetite or leads to increased cravings. It is important to note that this study lasted for only 3 days. Review of studies noting the effect on intense sweetener consumption on appetite report that intense sweeteners may reduce appetite for short term and this feeling disappears prior to subsequent meals. What does this mean? Artificial sweeteners do not affect appetite related hormones. Research shows that consumption of artificial sweeteners can reduce appetite but acutely, the effect vanishes till the subsequent meal. Gut microbes consist of populations of good bacteria that reside in the intestine and help in digestion of food and absorption of nutrients. Dysregulation of the populations of these bacteria can contribute to obesity and other metabolic health issues. Suez et al. have demonstrated that artificial sweetener consumption can cause deleterious alterations in gut microflora which leads to glucose intolerance. Glucose intolerance is a condition in which one suffers from high blood sugar levels and this can serve as a precursor to type 2 diabetes. An animal study demonstrates that consumption of Splenda (sucralose) reduces the beneficial bacteria in gut and can also affect the bioavailability of drugs. Another interesting animal study revealed that mice fed with aspartame ate few calories and did not gain weight but their gut microflora was impaired which contributed to abnormalities in insulin levels. What does this mean? Artificial sweeteners consumption have unfavourable effects on bacteria residing in the gut which can lead to obesity and type 2 diabetes. Results of a 6 month clinical trial comparing the effect of replacing caloric beverages with water or artificially sweetened beverages reveals that this weight loss strategy leads to a 2-2.5% loss of body weight. A review study claims that the inclusion of artificial sweeteners in beverages leads to reduced energy intake and lowers body weight compared to sugars based on short term data. A meta-analysis of studies conducted on the effect of intense sweeteners on body weight showed that when considering results from clinical trials consumption of intense sweeteners leads to a significant decrease in body weight and waist circumference. Interestingly when data from observational studies were considered, which last for years, it was observed that artificial sweetener consumption was associated with an increase in BMI. Few clinical trials have also demonstrated that consumption of artificial sweeteners lead to similar weight loss as placebo. What does this mean? Research studies lasting for 1-2 years reveal that artificial sweeteners or artificially sweetened items consumption can lead to modest weight loss outcome. Quite a number of studies suggest that inclusion of non-nutritive sweeteners have no effect on body weight and appetite on long term. The San Antonio Heart study which lasted for 7-8 years reported that people consuming artificial sweeteners were at a higher risk for gaining weight and obesity compared to those who did not consume them. A 2-year study in school children found that increased consumption of diet soda is associated with an increase in BMI. Sometimes a counter argument is also proposed that the association of artificial sweetener consumption and increased risk of weight gain can be reversed. Individuals with a high BMI opt for artificial sweeteners. However, studies making adjustments for such baseline values still show that artificially sweetened beverage consumption still increases the risk of weight gain and metabolic diseases even in those who have normal BMI. What does this mean? Long term consumption of artificial sweeteners or artificially sweetened beverages is associated with increased risk of weight gain. Research shows that the consumption of artificial sweeteners does not increase insulin or incretin release like sugar does. However, its immediate effect on consumption is the same as the effect sugar would produce. A number of studies report that the risk of developing metabolic syndrome by artificial sweetener consumption is somewhere in the range of 17-100%. The frequency of increased risk of metabolic syndrome is the same as the risk posed by consuming sugar-sweetened beverages. Studies report that the risk for developing type 2 diabetes is doubled in those consuming artificially sweetened beverages than non-consumers. Data reveals that risk for developing type 2 diabetes is increased in those consuming at least one artificially sweetened or sugar-sweetened beverage a day. 3 months of regular consumption of artificial sweeteners showed no benefit in glucose levels in type 2 diabetes patients. Daily consumption of artificially sweetened beverage poses a similar risk of developing heart problems as consumption of the sugar-sweetened beverage. Majority of observational studies show that artificial sweetener consumption has no effect on lipid and cholesterol levels. What does this mean? Though artificial sweeteners are touted for its benefits in metabolic health, long term evidence suggests that they do not have any beneficial effect in type 2 diabetes and cardiovascular risk factors. The hazards of using artificial sweeteners has been well documented in ‘Sugar substitutes:Health Controversy Over Perceived Benefits’. Aspartame has been associated with allergic reactions, brain damage and seizure inducing activity. It should be avoided by those suffering from a metabolic condition, phenylketonuria. Sacharrin is found to be cancer inducing in animals. Inconclusive evidence is available on the link between artificial sweetener consumption and risk of cancer and neurological defects. Safety concerns associated with stevia is that it can cause mutations in DNA and cause infertility. However, this is limited to animal studies. Large amounts of tagatose can cause diarrhoea, nausea and flatulence. Excess consumption of sugar alcohols can cause bloating, flatulence and diarrhoea. Here is a list of natural sugar substitutes that you can opt for. They are somewhat better than sugar due to their nutrient content and health benefits. But just like sugar, they have glucose and fructose (but they are in combination with other minerals and good stuffs) and hence should be used in moderation. Stevia: It is extracted from leaves of a plant Stevia rebaudiana and has compounds which are many 100 times sweeter than sugar. Honey: Maximum proportion of honey is sugar but it also contains minerals and antioxidants. Coconut Sugar: It is derived from sap of coconut plant and a smaller amount of fructose than sugar. Maple syrup: It is derived from the sap of maple trees and raises blood sugar lesser than what sugar does. Yacon syrup: It is derived from roots of yacon plant and contains undigestible sugar compounds which make it a good low calorie alternative to sugar. Artificial sweeteners, though devoid of calories, cannot protect you from sugar addiction. Instead, they activate the brain partially leading to the signalling of hunger and cravings. Artificial sweeteners can lead to weight loss over a short term and can help only if combined with lifestyle changes like changes in diet, exercise and moderate consumption of artificial sweeteners. Artificial sweeteners without any lifestyle changes have been associated with weight gain and increased risk of metabolic diseases in the long run. Few things that would really help are cutting down on sugary items, replacing soda with water or real homemade fruit juices and using natural sugar substitutes in moderation.